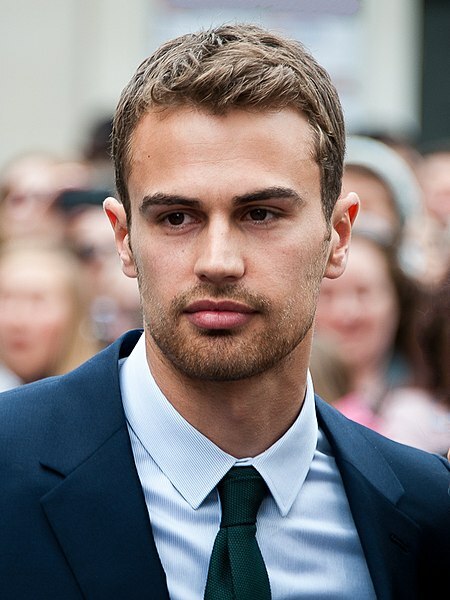 Theo James was born in Oxford, Oxfordshire, England, UK, on December 16, 1984, is an English actor. Young Theo James began his acting career in the British drama mini-series A Passionate Woman (2010) in role as Alex Crazenovski. He made his big screen debut in comedy drama movie You Will Meet a Tall Dark Stranger (2010) in role as Roy Richards, directed by Woody Allen. Theo's breakthrough performance came Tobias "Four" Eaton in dystopian science fiction action film Divergent (2014), opposite Shailene Woodley. He played David, a vampire in action horror films Underworld: Awakening (2012) and sequel Underworld: Blood Wars (2016) opposite Kate Beckinsale. He played Jed Harper in British supernatural drama television series Bedlam (2011). He portrayed Detective Walter William Clark, Jr. in crime drama series Golden Boy (2013). James was the singer and guitarist of the band Shere Khan. He has two brothers and two sisters. His favorite film is Australian biographical drama film Shine (1996). His favorite actors are Steve McQueen, Marlon Brando and Paul Newman. He likes boxing, basketball, rugby and deep sea diving. He married Irish actress Ruth Kearney on 25 August 2018. 'Divergent' is a story about people who don't fit into a category - that is a big part of the message - but it's also about conformity and forcing people into these simple archetypes. At the end of the day, humans don't exist like that. We're multifaceted. Sometimes the best parts are the leading men. But the little parts can be similarly gratifying. While I find my job as an actor challenging, I also think that there's fun in that challenge. Even though I'm an actor, I don't love sharing everything about myself. It's always good to keep a little bit for yourself. Don’t care too much. Enjoy what makes you feel good, but don’t care too much. I think if you try too hard, you can see that.